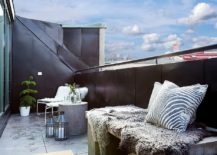 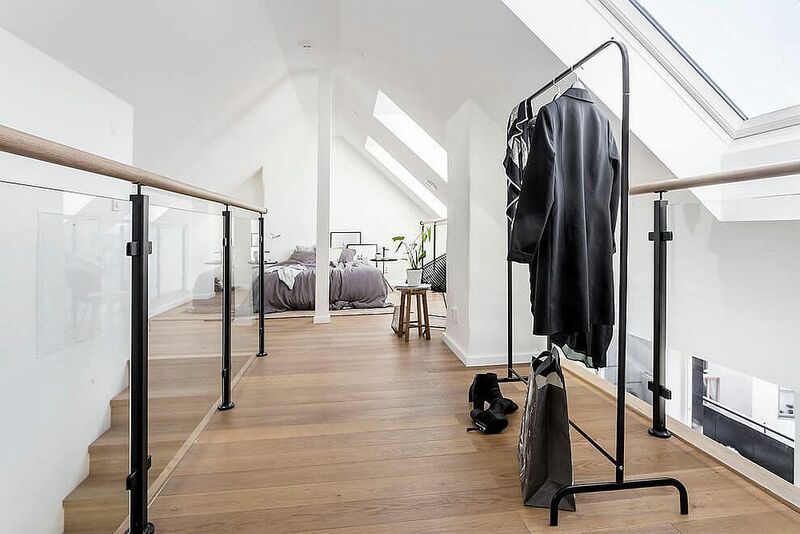 It is barely a surprise that a modern apartment in the heart of Stockholm is draped in an elegant cloak of Scandinavian beauty where simplicity and functionality are the key elements. 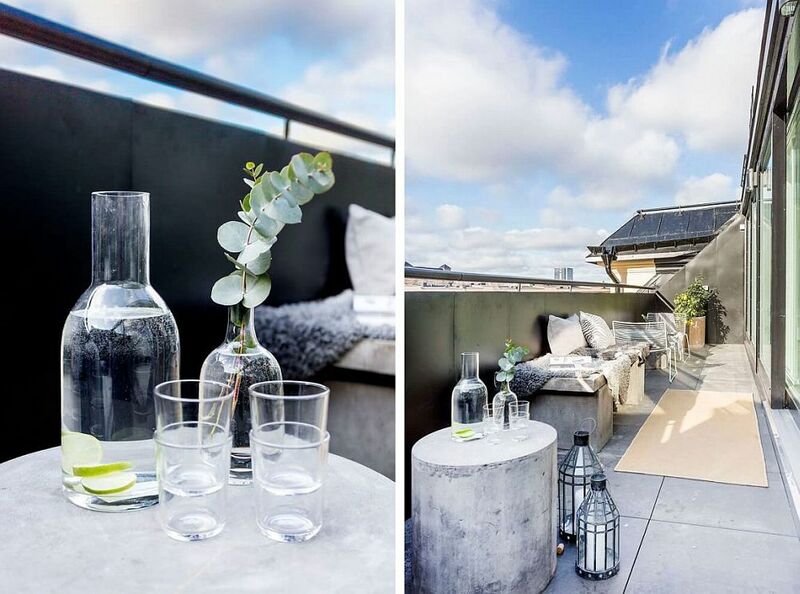 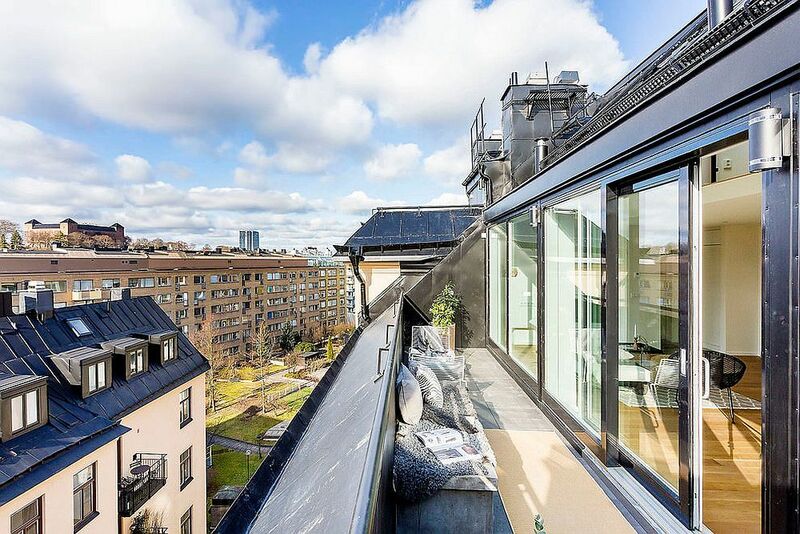 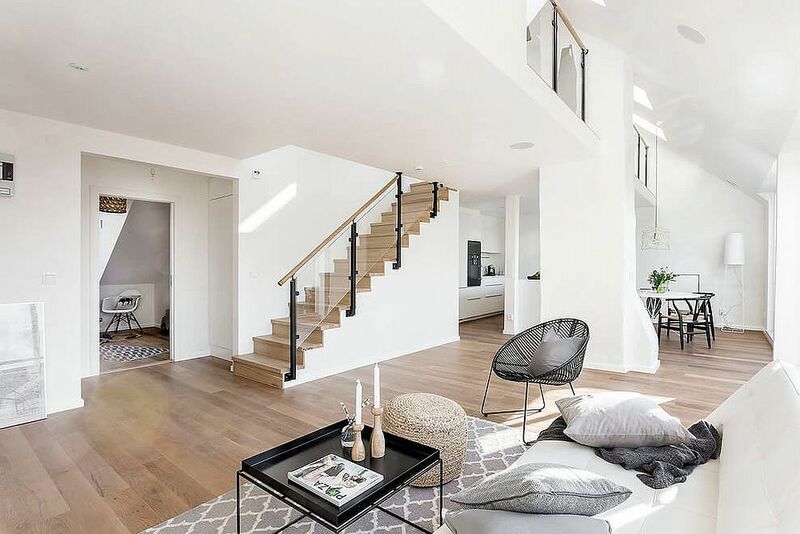 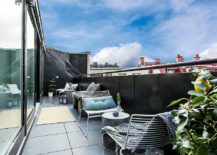 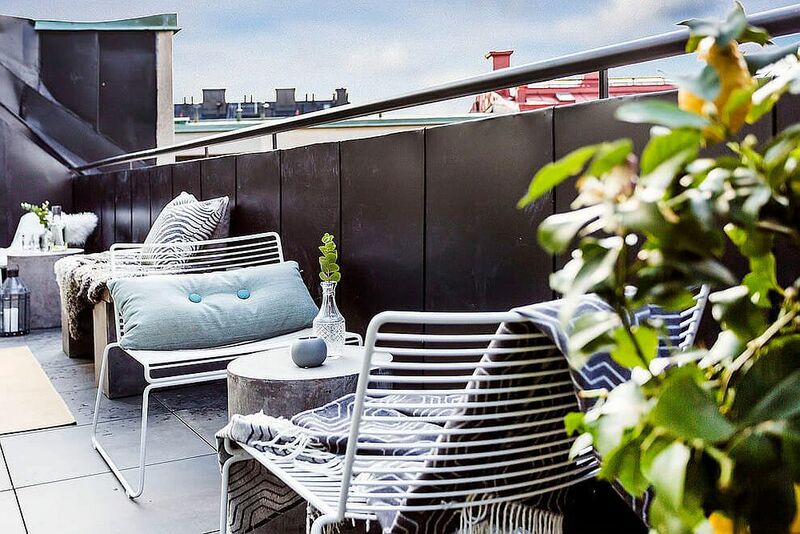 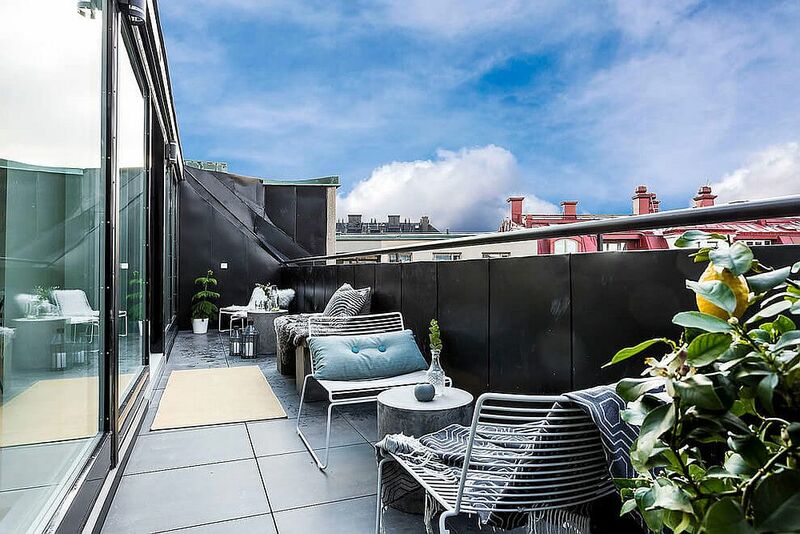 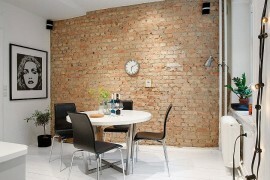 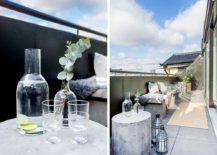 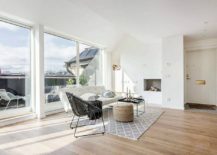 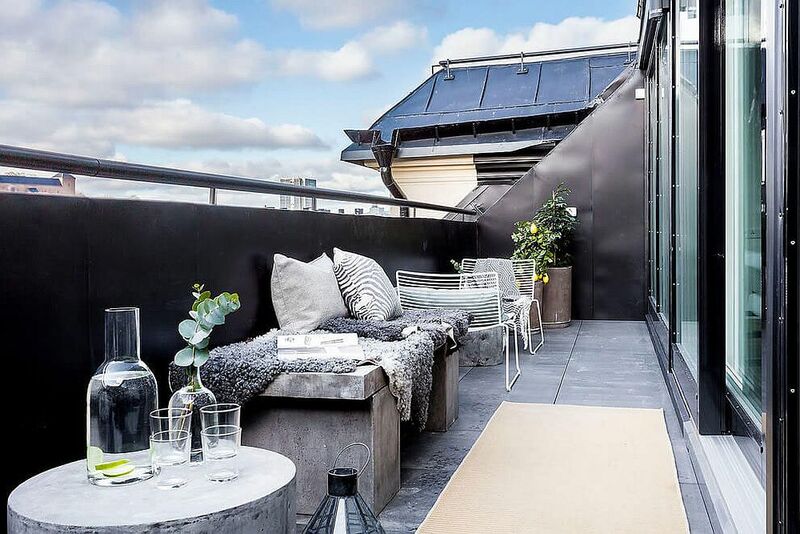 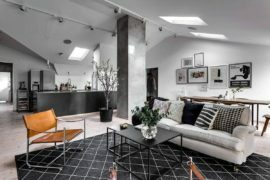 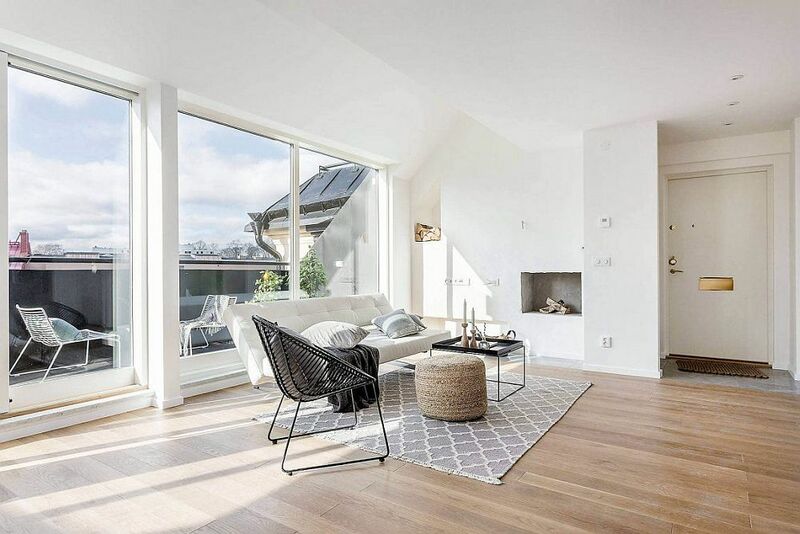 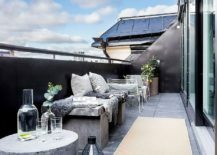 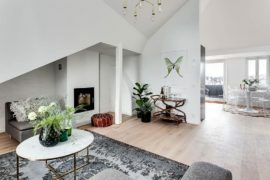 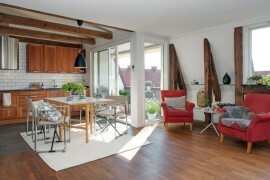 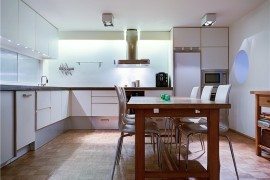 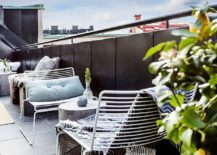 But the refreshing Valhallavägen Apartment designed by Doomie Design has much more to offer, as its light-filled and airy interior delights you with its cheerful vibe and unassuming charm. 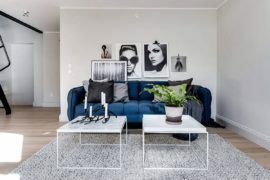 The apartment keeps things simple and tidy with an interior that has a distinct Nordic flavor flowing throughout is twin-level interior. 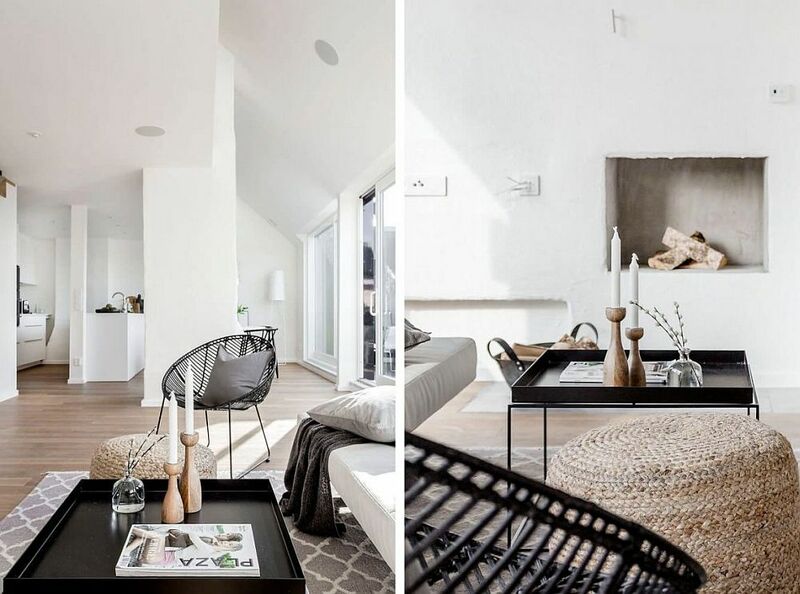 A striking feature of the home is its neutral color scheme that does not venture beyond black, white and shades of gray. 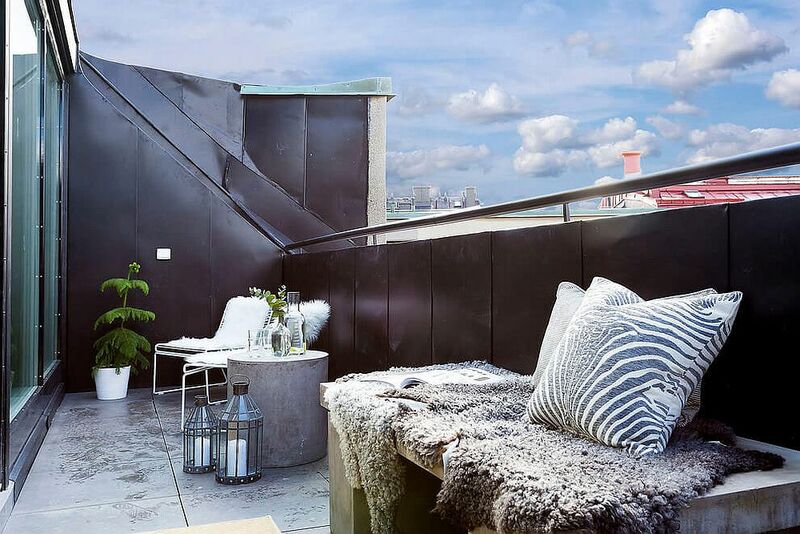 The lower level of the apartment houses the living area, along with kitchen and dining spaces, even as a well-furnished and soothing balcony offers the comforts of outdoor living along with a lovely view of the city skyline. 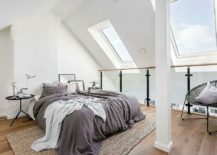 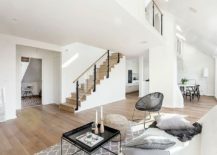 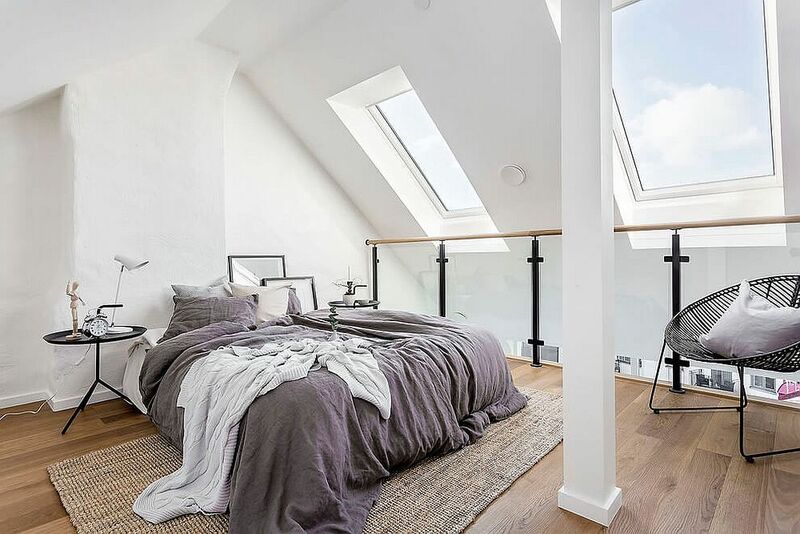 A smart wooden staircase leads to the top level that holds the private zones, with skylights and windows bringing in plenty of natural light. 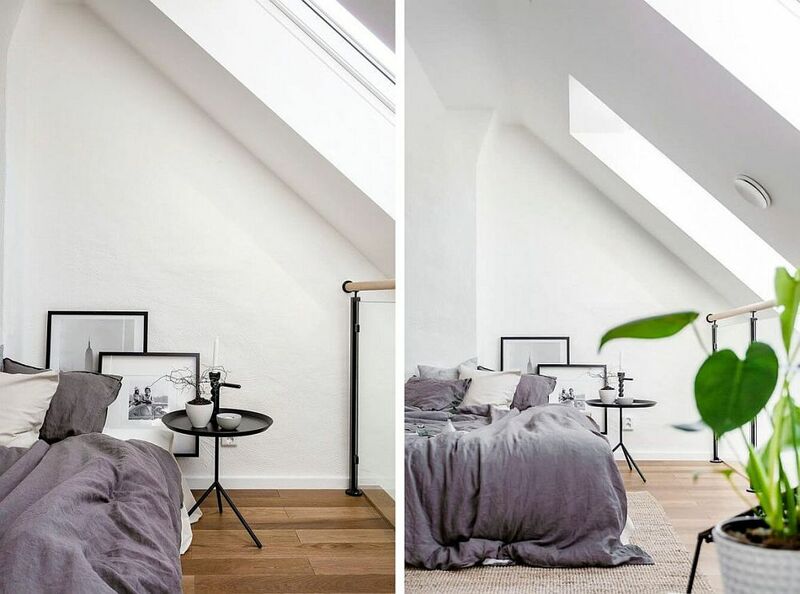 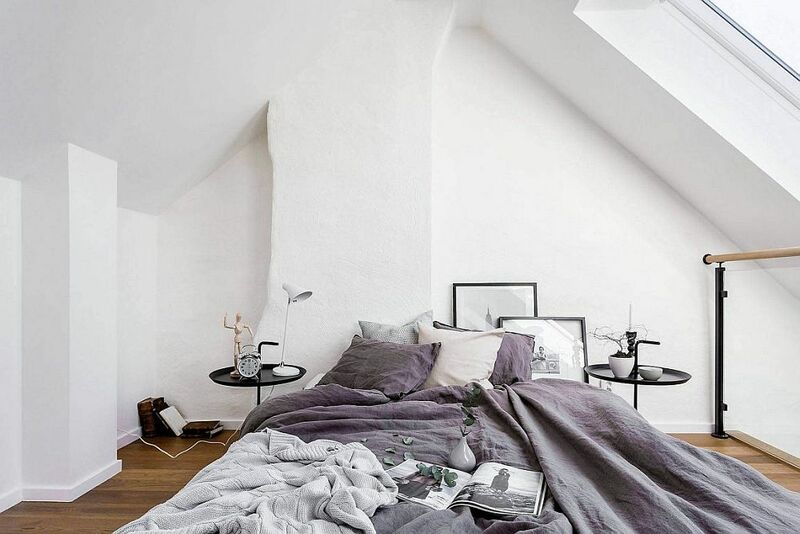 Color is almost completely absent from this Swedish home where it is white and the many shades of gray that firmly hold sway. 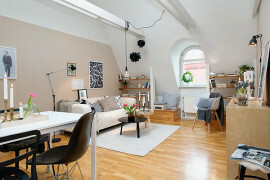 A dash of green brought in by the indoor plants is the only colorful contrast on offer! 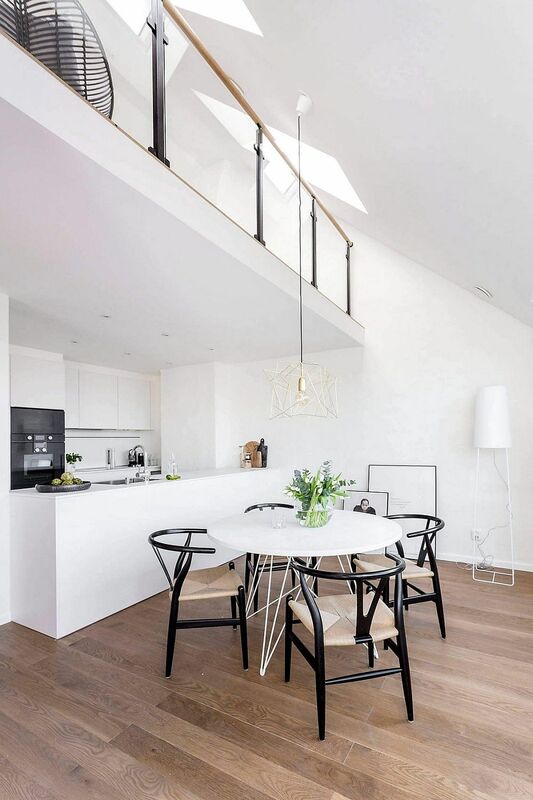 Décor and pendant lights add a certain geometric and textural contrast without disturbing the color scheme of the house at any point, even as the balcony ends up becoming the hot spot for homeowners to rest and rejuvenate after a long, hard day. 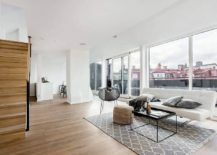 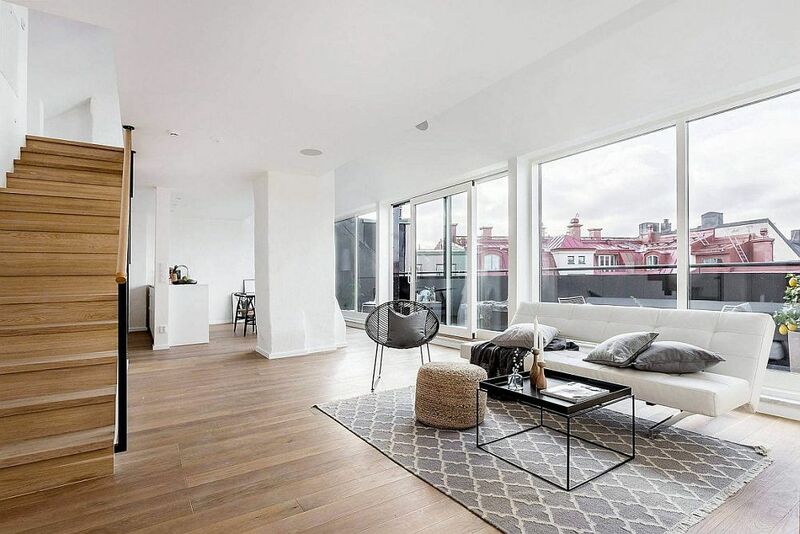 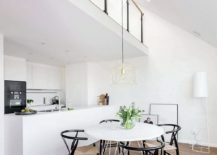 Beautiful, uncomplicated in its approach to design, and serene, this apartment offers ample design inspiration for everyone looking to fashion a more harmonious home.